We thought we would try to start the new year with a few outfit ideas. Given it’s a fresh start to things, we thought light, natural colours would work nicely. Kinda like going back to a natural beginning. 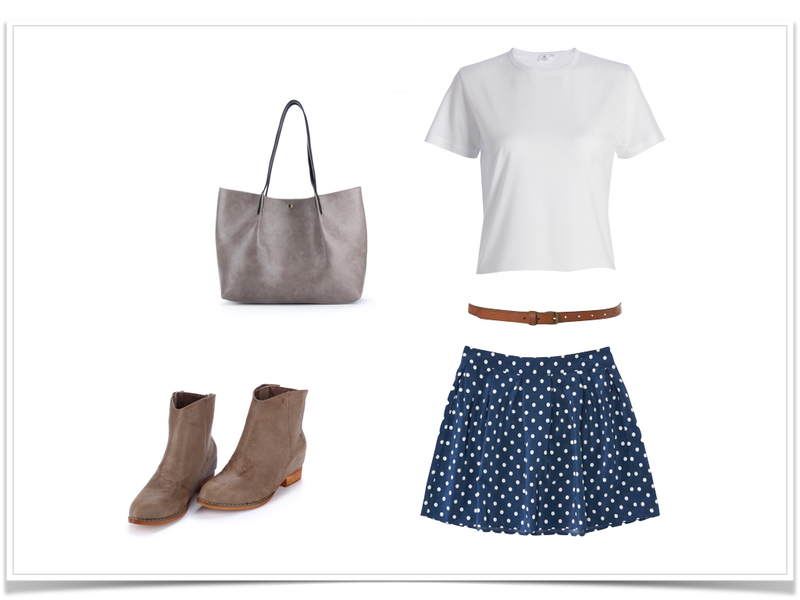 Keeping it light and breezy For this outfit, we matched a blue polka dot short skirt with a white top which we then tied together with a nice thin brown belt. Footwear wise, we chose a pair of ankle boots for a loose, relaxed overall look and then finished everything off with an understated, yet elegant tote. We like things natural In this outfit, we went for natural colours and earth tones. Green makes us think of nature and all things fresh and new. White is such a universally clean and easy to match colour, so that goes well as a top. 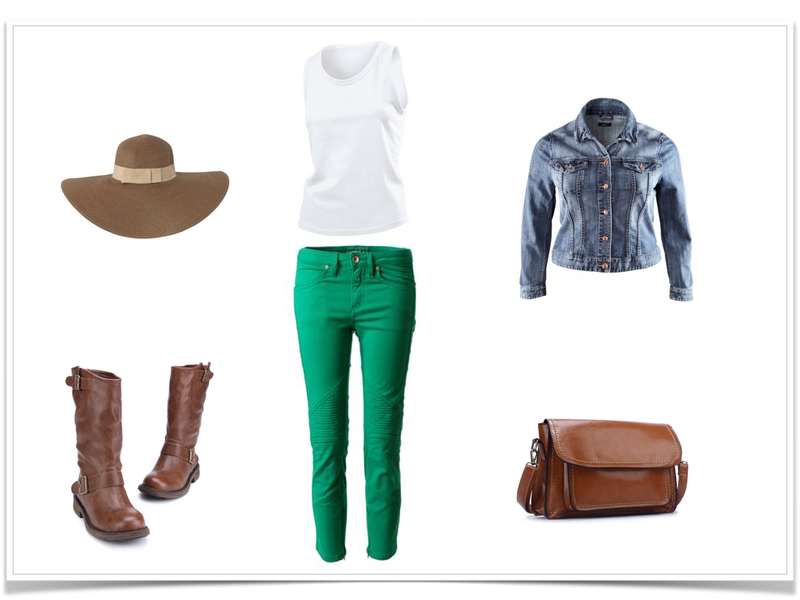 A little blue from the denim adds some blue sky drama, while the hat, boots and bag brings us back down to earth again.